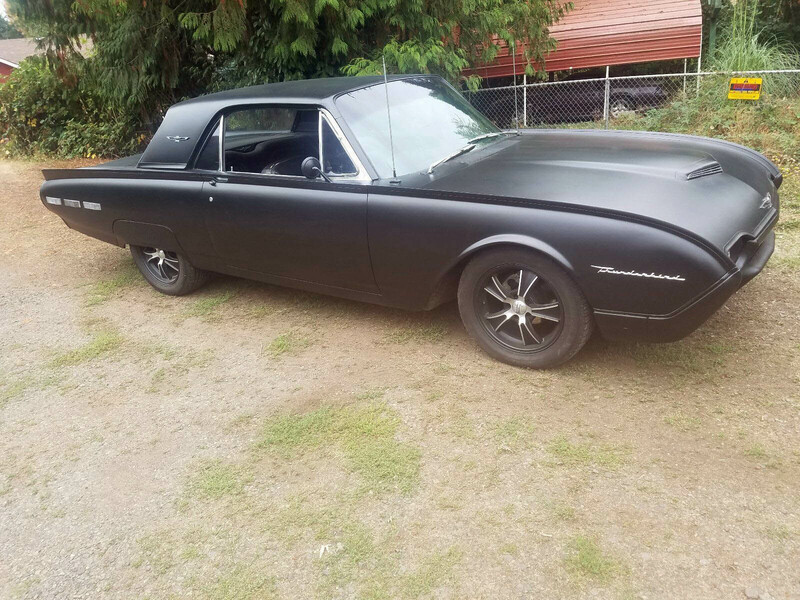 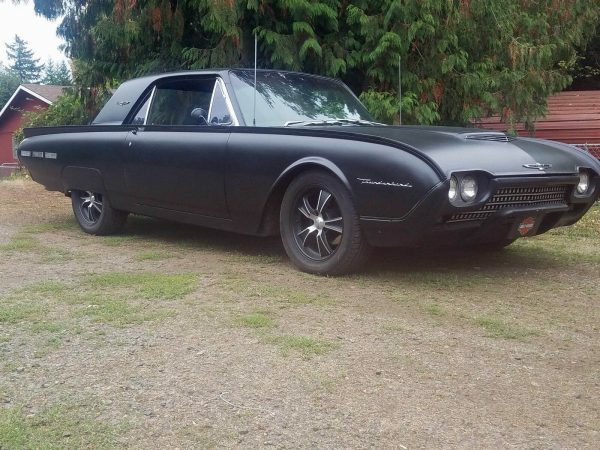 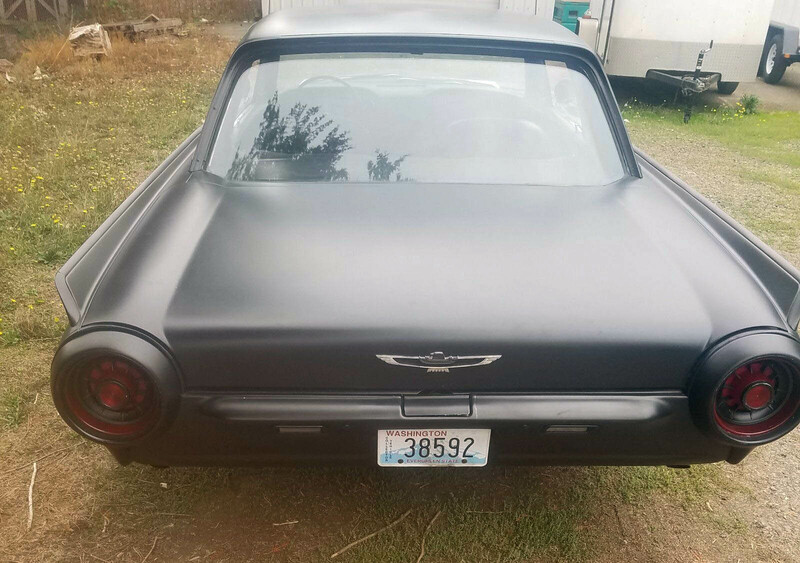 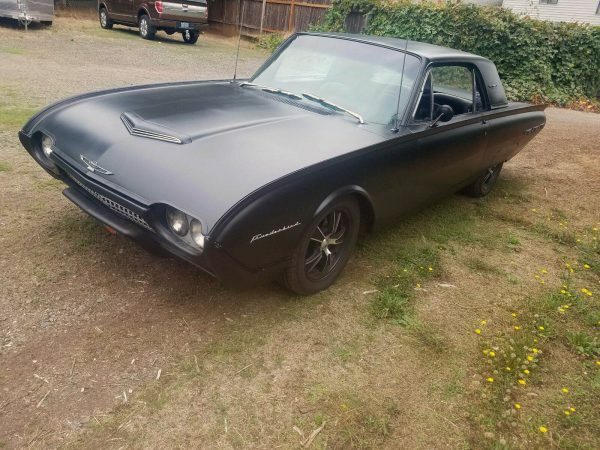 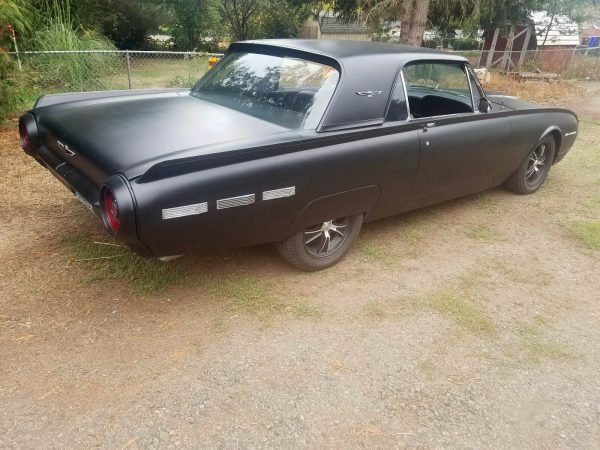 This 1962 Ford Thunderbird is for sale in Oregon City, Oregon with a current bid of $4,050 and reserve not met. 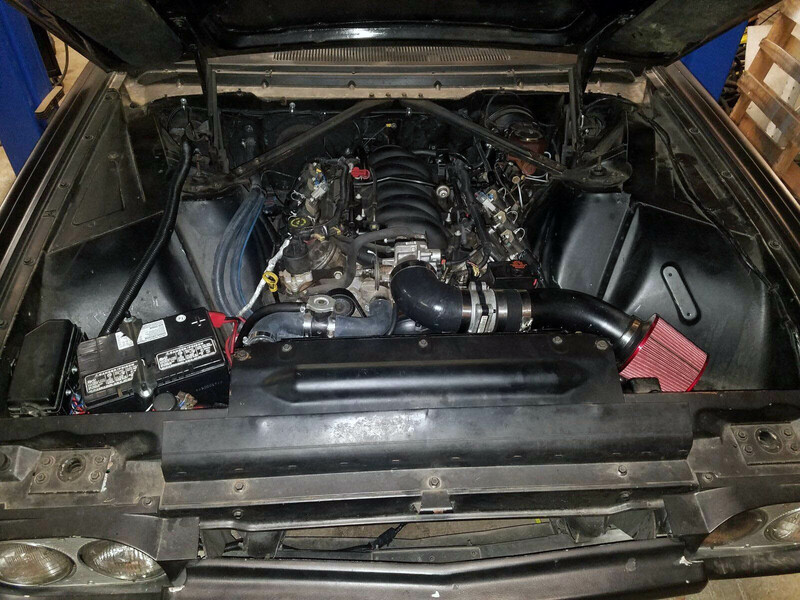 Under the hood sits a 5.7 L LS1 V8 and 4L60E automatic transmission from a 2002 Pontiac Firebird. 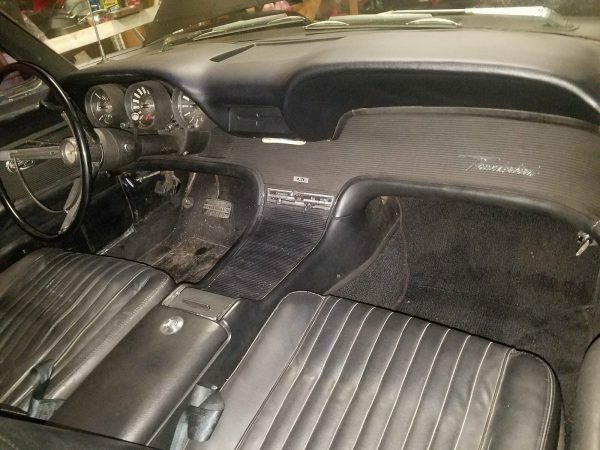 The factory ECU was reflashed to match new gears and remove VATS. 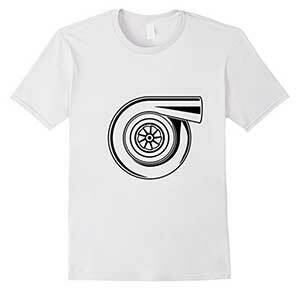 Power travels to the American Racing wheels through a new driveshaft and Ford 9-inch rear end with 3.98 gears and LSD. The car rides on 2-inch lowering springs and KYB shocks with power steering and power brakes with a front disc brake conversion. 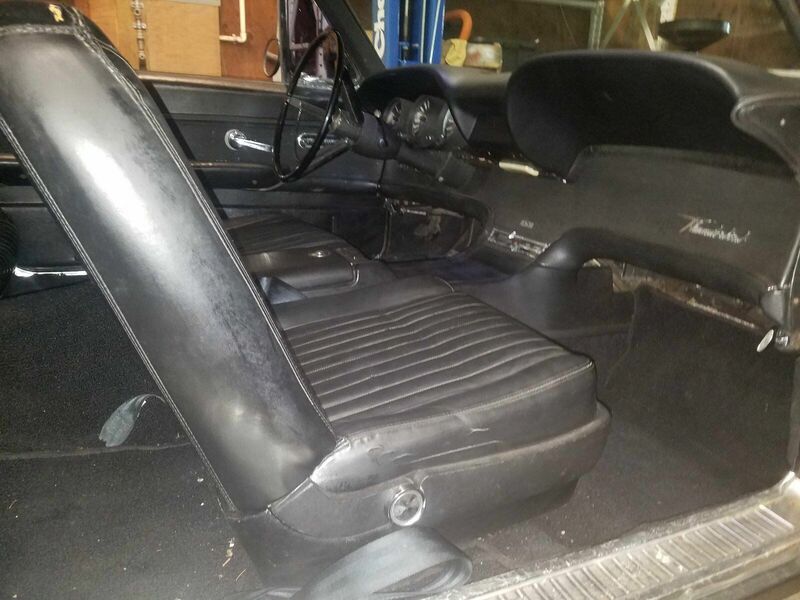 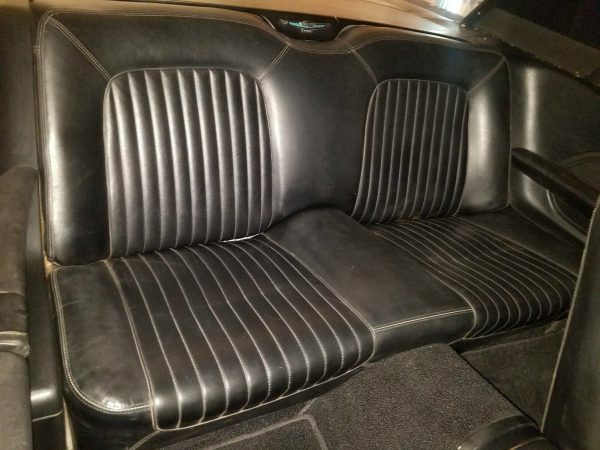 Other features include new stainless steel exhaust, power driver’s seat, power windows, and new 4 row radiator. 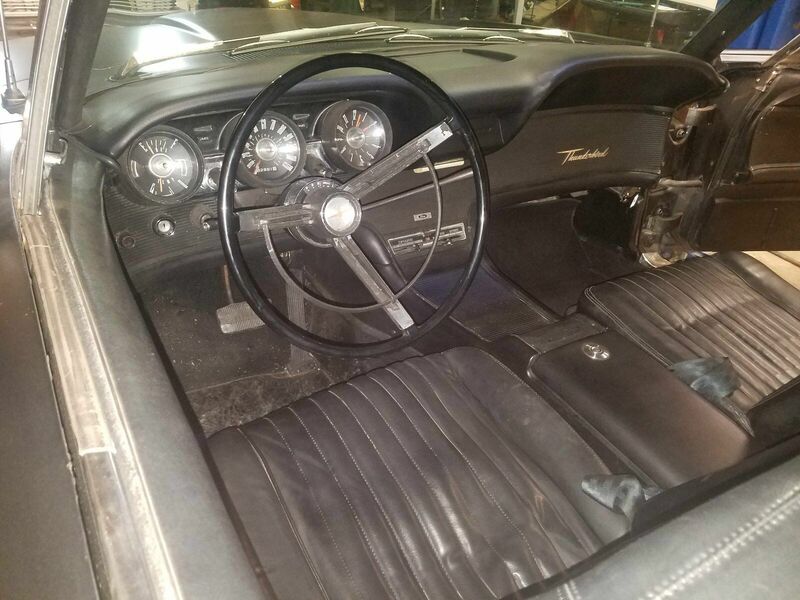 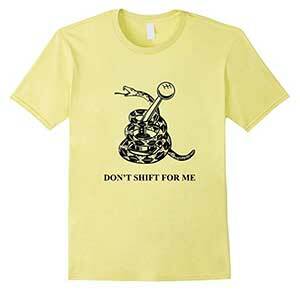 Issues with the car are speedometer not working and a tear in the passenger’s seat.